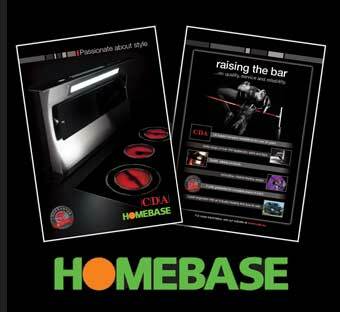 After a successful introduction of 24 products into Homebase earlier in the year, a wide range of 99 CDA lines has been launched, all of which are featured in the November Homebase catalogue. CDA are also participating in the Homebase Roadshow, an annual training event held at three locations across the country, so that 2000 store staff will be fully equipped to advise and sell the CDA brand. SV310 Sensor Touch oven wins Designer Award!